This entry was posted on 8th August 2018 by WoodBlocX. 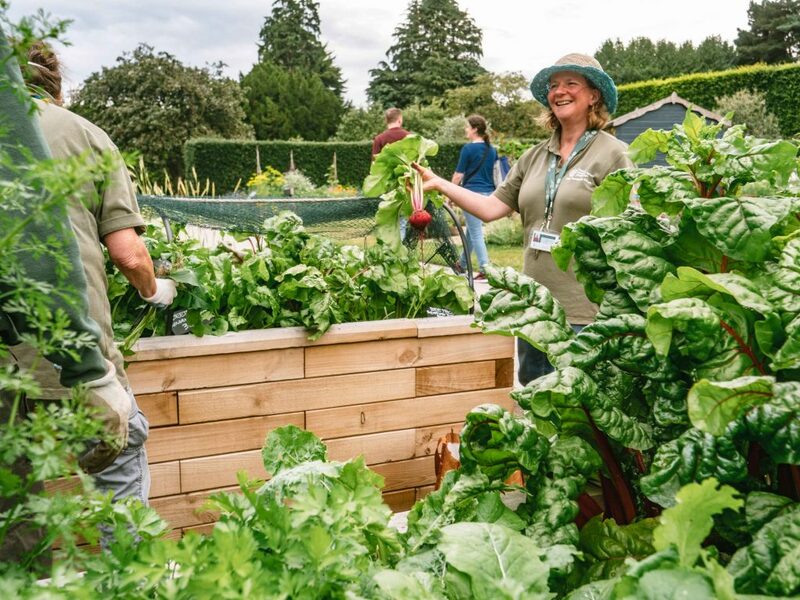 Last week we headed down to the Royal Botanic Gardens in Edinburgh to catch up with the team that runs the Edible Gardening Project, a scheme that is run purely by volunteers, and a couple of years back we supplied nine of our timber raised beds which have been utilised to grow an abundance of fruit and veg. 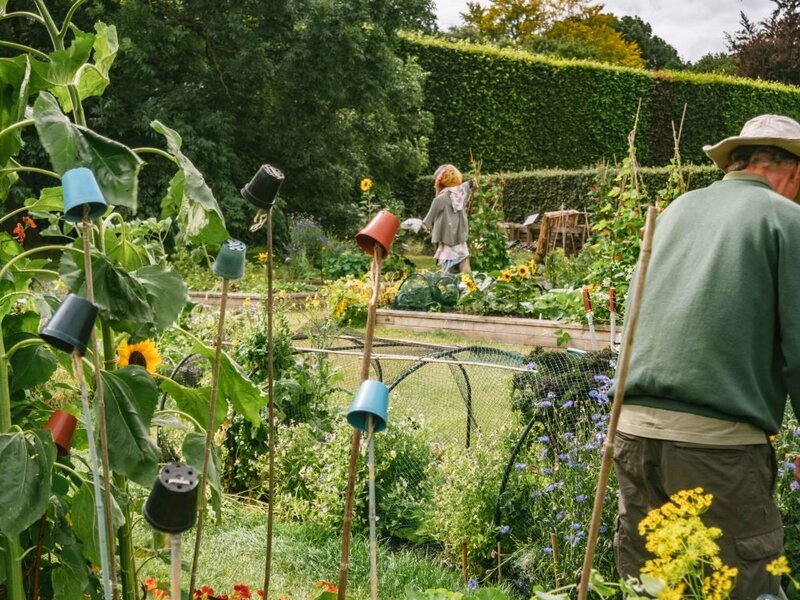 The project is open to anyone who is keen to grow their own produce but isn’t sure where to start and teaches people the skills and knowledge they need to get going, so individuals, local groups and schools can all benefit from the garden making it a brilliant local resource. Our raised beds help to make the various gardens more accessible to both children and adults, the project includes three key areas, the first is for children and is used by primary schools and groups of youngsters, these low level raised beds provide a guide, staff at the Botanical Gardens have noted that the children prefer to garden within a bordered area rather than flat ground. 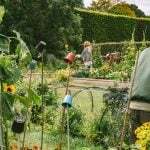 The second is used by Move More Scotland, which is a programme run by Macmillan Cancer Support, it is national campaign to ensure that people living with cancer are supported to become physically active, both before, during and after their treatment, you can read about it here. 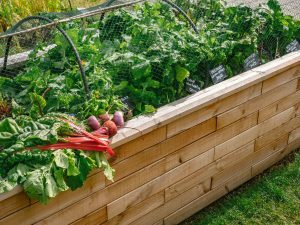 The third is for young adults and community groups who attend free workshops to introduce them to growing vegetables, composting and organic pest and disease control. 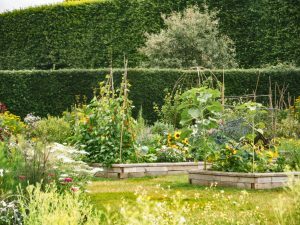 As you can see from our photos, the garden is looking absolutely stunning, full of vibrant colour and some very healthy vegetables despite the lack of rainfall. 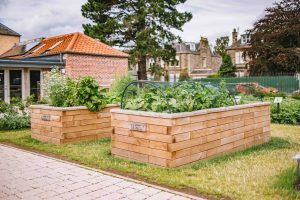 To find out how our raised beds can be used to create an accessible garden for anyone with mobility issues and disabilities click below.